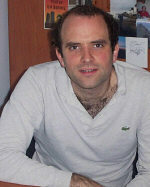 Simon Young graduated from Clare College with a starred first in 1995 winning the Chadwick Prize for Celtic Studies and the Green Prize ‘for learning’. Over the next seven years he worked and lived in several European countries including France, Ireland and Spain. 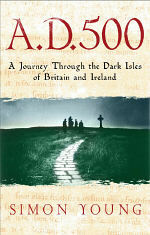 Articles, book reviews and columns by him, for the most part dealing with the Dark Ages, have appeared in publications ranging from History Today to Fortean Times and from the Spectator to the Guardian; he has also had work included in several academic journals such as Cambridge Medieval Celtic Studies and the Irish periodical Peritia. He is the author of four books. The first, Celtic Sources for the Arthurian Legend (Llanerch 1995) was written with Jon Coe in his last year at university. The second, Britonia: Caminos Novos (Toxosoutos) came out in Galicia in 2001 and was runner up in the Premio Historia Medieval for that year. It has since been translated into Spanish. 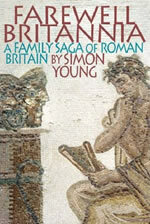 The third, AD 500: A Journey Through the Dark Isles of Britain and Ireland and the fourth, Farewell Britannia: A Family Saga of Roman Britain, both works of fictionalised history, were published by Weidenfeld and Nicolson and were critically acclaimed. 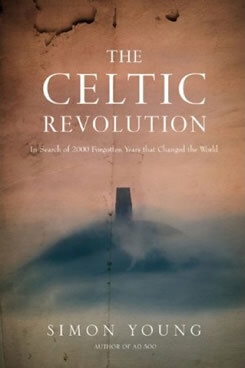 At present he is working on a new commissioned book on ancient and medieval Celtic history. In 2003 he settled in Florence, Italy where he lives with his wife Valentina. Simon Young has appeared on numerous radio programmes at local and national level, including Excess Baggage and Woman’s Hour. Three years ago, resident in Spain and impatient with small commissions and trifling books that were good for nothing more than a few bottles of wine, I bought the Writers and Artist's Yearbook and picked out, almost at random, three agents who expressed an interest in "non-fiction' and then sent off a letter to each explaining my ambitions and projects. A week later the first of these replied with a card telling me that my proposals, while very promising, were not really his kind of thing and advised me to get in touch with "the history agent', 'A. Lownie'. Another week past and a second reply returned. Again all was very promising, but I should really get in touch with 'Andrew Lownie' who was the best man for the kinds of books that I wanted to write. As the third of my original letters had, in fact, been to a certain Andrew Lownie I felt that destiny had taken a hand and waited every postman's delivery with trepidation. The letter never came. But after a fortnight I got an email from Andrew with an invitation for more detailed proposals.